Sterling College offers graduate programs designed to give you a focused, affordable education to prepare you for a life of impact. Currently, we offer a Master of Science in Athletic Training and offer one of the first graduate programs in sports ministry in the entire United States through our Master of Arts in Sports Ministry. 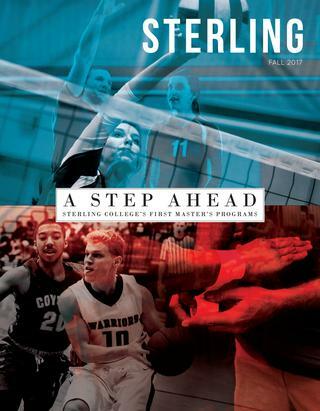 Sterling College endeavors to train up the next generation of servant leaders in our communities - locally and globally. These graduate programs further the mission of developing creative and thoughtful leaders who understand a maturing Christian faith. Additional information can be found on the Graduate Academic Catalog.